When I first came across organic spirulina pasta, I was a bit hesitant. Yes, I know that spirulina is good for your health, but my concern was the taste. Spirulina pasta is a mix of both wheat & spirulina. Perfectly mixed to give you the correct taste of the spirulina without overpowering the spaghetti. The boiling instructions are clear on the packaging material. 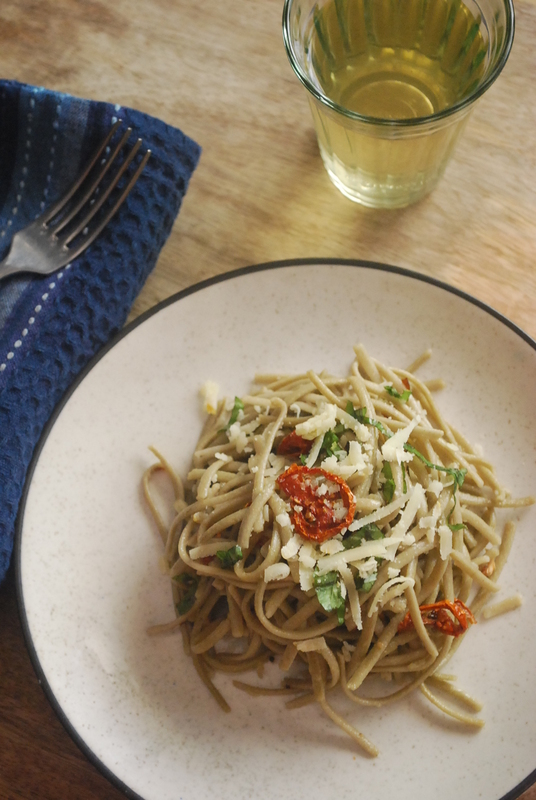 This pasta is not gluten free. Spirulina helps to fight against cancer, liver infection or allergic reactions. 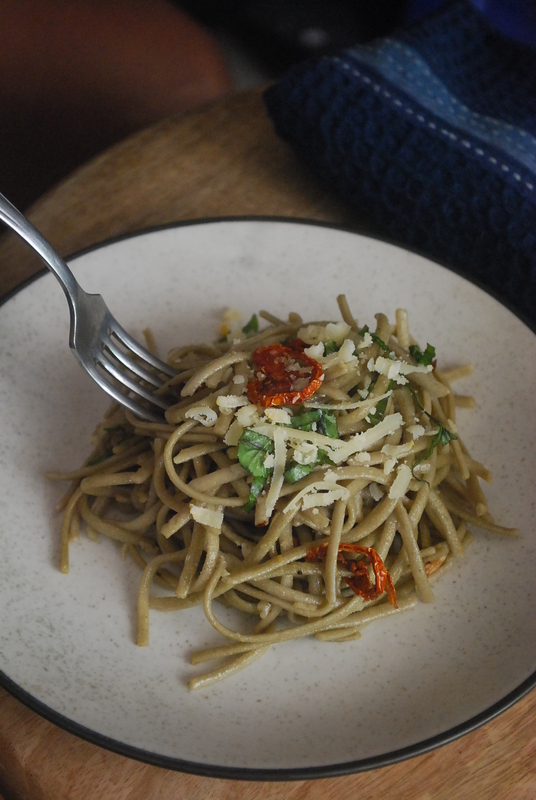 Spirulina spaghetti can be cooked with any sauce of your choice. 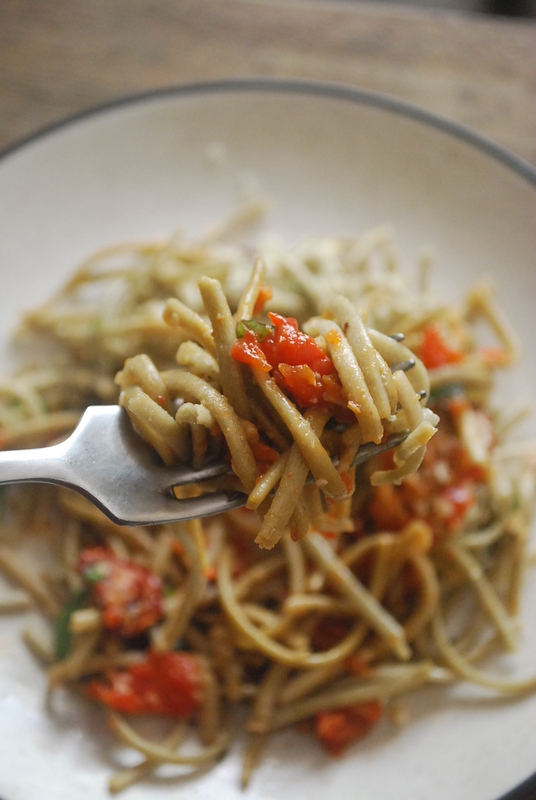 I’ve cooked this pasta with pesto sauce, tomato pasta sauce, roasted bell pepper dip or just olive oil, garlic & sun dried tomatoes – making it a perfect summer treat! I’ve personally met Anandi, who started KOFPU (Kottakarai Organic Food Processing Unit) and creates some amazing products. She is a warm person and welcomes you with her contagious smile. She also runs a raw vegan restaurant in Auroville, dishing out some of the best vegan smoothies and raw chocolate bars. At i2cook.com we also stock KOFPU’sorganic products like cashew butter, black sesame butter, neem leaf powder etc. We also stock locally produced cheese from Auroville like parmesan, feta, etc. Now, here is the best part :)… i2cook.com delivers all these products at your doorstep all across India.